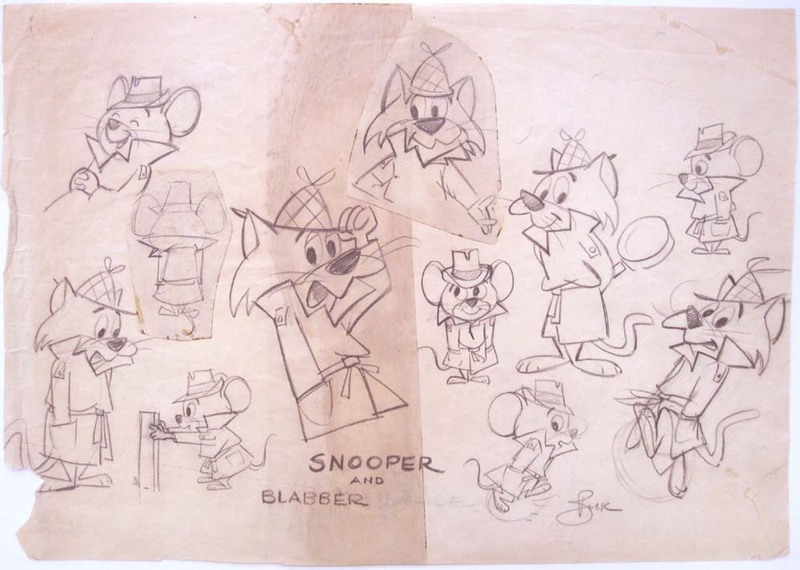 This is a rare original pencil model sheet of Snooper and Blabber from the "Snooper and Blabber" segment of The Quick Draw McGraw Show (1959). The model sheet is made up of two different sheets of trimmed paper that have been glued together. The overall sheet measures 9.75 x 14". The left edge if ragged and torn as seen in the photo. The model sheet is signed by artist Disk Bickenbach.